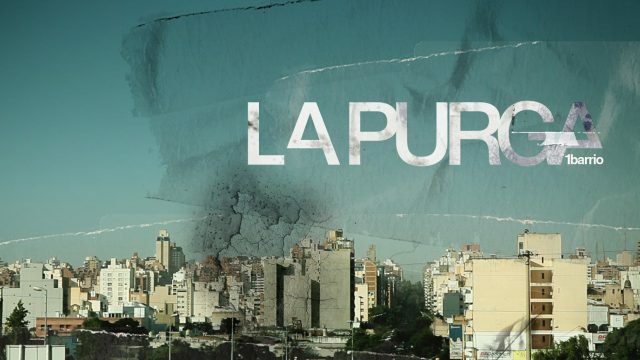 La Purga is a thriller based in the fictional area of Córdoba with the same name. A poor and violent neighbourhood with its own moral code, where solidarity and extreme violence co-exist. Agustin’s (Francisco Cataldi) middle-class life is turned upside down after his wife is killed during a break-in to his home, he loses his job as a surgeon and turns to alcohol. He becomes obsessed with the search for justice. One drunk night in a bar in “La Purga” he intervenes in a violent bar-fight, he ends up unconscious and is taken care of by Pablo (Pablo Tolosa) who he had fought for. When he wakes up in the house of Pablo and Cintia he meets Cintia who will become instrumental in his search for justice. In the neighbourhood his path intertwine with La Purga´s most prominent characters “El Pulpo” (Maximiliano Gallo) and Pablo married to Cintia, two brothers who have chosen different paths but are trying to reconnect: The first wants to rescue young people from crime through music, while the former is involved in a kind of Robin Hood criminality selling stolen ware to the poor people in the area, the network of corruption – involves both criminals and police. A settling of accounts can change everyone’s life forever. Cintia Pablo’s wife shows Agustin the way to redemption and justice. ..There is also an impeccable work of dramaturgy: latent interfamilial conflicts, secrets, and the permanent threat of death that surrounds its protagonists, they form a compact and seamless plot, which advances without pauses towards its outcome.